For me one of the great joys of visiting Britain is to find an older, traditional style pub serving good ale & food and preferably with some history about it – basically the older the better. 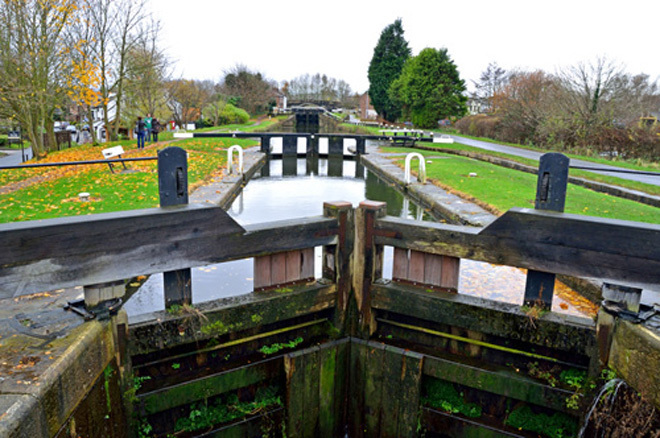 One of my favorites is The Ship Inn situated on the Top Locks at Lathom in Lancashire. 'The Ship' started life as a public house known as The Blood Tub or simply The Tub with two quite plausible legends to explain the rather odd name. The first explanation describes The Tub as a 'navigation' pub frequented by boat crews and canal & dock workers - a rough mob who frequently brawled in and around the premises. The story goes that the landlady of the day refused to serve the bloodied combatants until they'd cleaned up using a large water filled tub outside the pub. This became known as the Blood Tub and carried over as the name for the pub. The second explanation revolved around one early landlady who was well known for producing an excellent black pudding. The majority of the ingredients, including large amounts of pigs blood, were sourced from local farmers who drank at the pub. A barter system evolved which saw the farmers deliver the pigs blood to the pub in jugs which were emptied into a large barrel before being washed and refilled with ale. The barrel became known as the Blood Tub and was again adopted as the name of the pub. 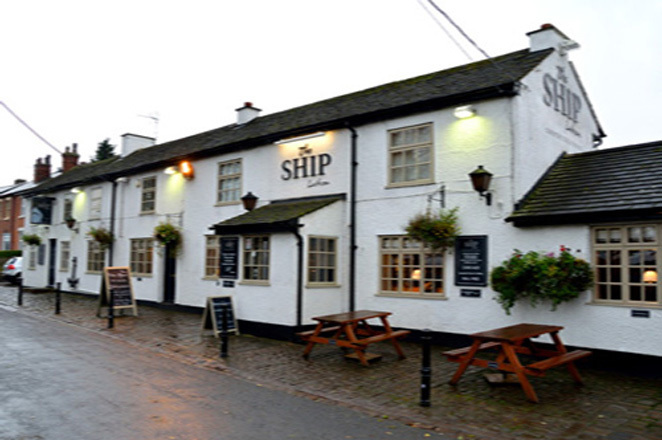 Today The Ship Inn is a wonderful traditional style pub set in historic surrounds adjacent to the Top Locks on the Rufford Arm of the Leeds & Liverpool Canal. Within the attractive whitewashed building, there's a very cosy bar and dining area as well as outdoor areas overlooking the canal and adjacent fields. 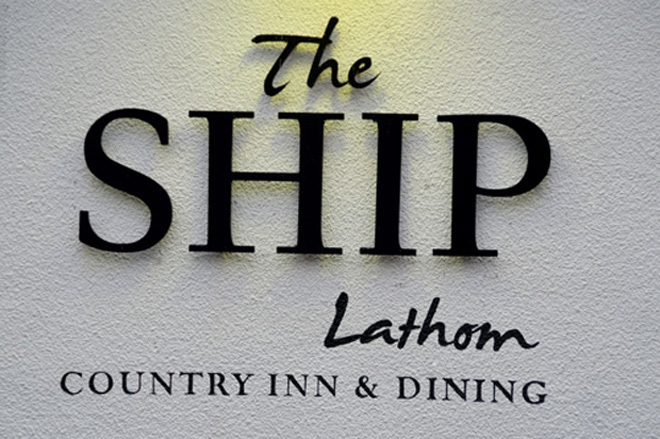 The Ship' guarantees to have no less than six traditional ales on tap at all times, colourfully named options such as Black Sheep, Old Golden Hen and Moorhouse's Pendle Witches Brew. As an Australian visitor, I found all those choices a bit confusing so stuck to the house beer, Moorhouse's Ship Special, which is a fabulous drop and always available. The food here is also great – Country Inn dining at its best, all prepared on site using premium locally sourced produce. The menu is extensive – starters, including Lancashire Tapas, sharing platters, burgers, steak of the day, house specialties, plus a range Crock Pots, side dishes & desserts. The serves are generous. 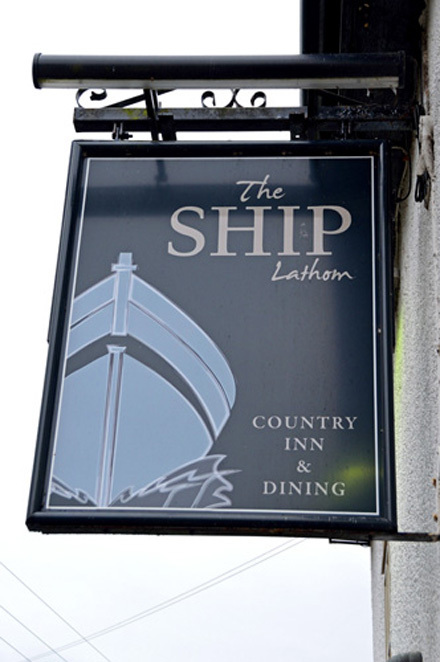 The Ship Inn also hosts an annual Spring Beer, Pie & Sausage Festival featuring 40 different hand-pulled ales from around the country, 10 real ciders, food tent and BBQ facilities, a range of pies made by The Ships own chefs and a variety of locally sourced sausages. 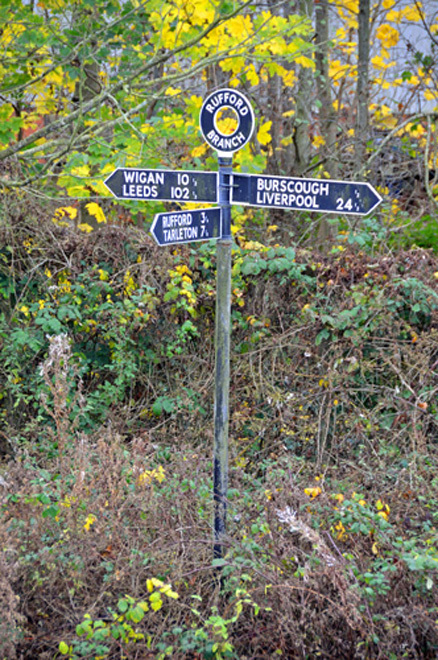 A stroll among the adjacent Locks with their Heritage Listed cottages & dry-dock and further afield to the tow paths of the Rufford Arm and the Leeds & Liverpool mainline canal add another dimension to a pleasant day's outing to a truly traditional English pub at a time when classics like The Ship Inn are disappearing in ever increasing numbers. Why? 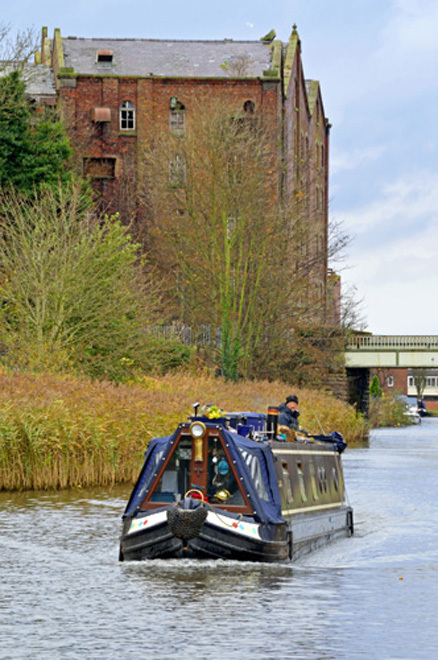 Enjoy a range of real ales along with some great food in a traditional English pub set in historic surrounds adjacent to the Top Locks on the Rufford Arm of the Leeds & Liverpool canal. When: Open 7-days Midday til 11.30 PM. Cost: Varies based on selections from the menu. Great article! Sounds like a nice place to visit.